We simulate velocity records at two stations in the building damaged area near the Kego fault in Fukuoka City by 1-D wave propagation theory during the 2005 West Off Fukuoka Prefecture Earthquake, Japan. Here we use the pre-Tertiary bedrock wave deconvolved from the record observed at a K-NET station outside of the damaged area. The observed velocity waveforms and pseudo velocity response spectra in the period range from 0.7 to 10 seconds in the predominant direction (N20°E) components are reasonably reproduced. Velocity pulses with a period of about 1 to 2 seconds in observed velocity waveforms at two stations are found to be amplified by the Quaternary sediments above the pre-Tertiary bedrock. After we confirmed the validity of our approach through the simulation, we predict the peak ground velocity (PGV) distribution around the Kego fault by considering 1-D response of Quaternary sediments at each site. The predicted PGV distribution of N20?E components is largest (about 80 cm/s) in the northeast side of the Kego fault and agrees well with the building damage distribution. Our result shows that the 1-D site responses of Quaternary sediments mainly contributed to the difference of PGVs inside and outside of the damaged area in Fukuoka City. 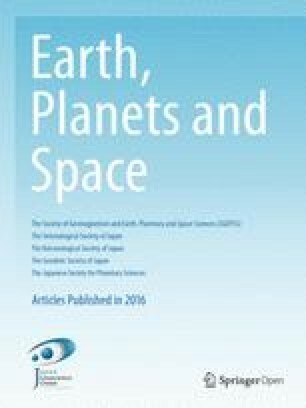 National Research Institute for Earth Science and Disaster Prevention, K-NET, http://www.k-net.bosai.go.jp/k-net/ftppub/sitedat/FKO006.dat/k-net/ftppub/sitedat/FKO006.dat, 2005a. National Research Institute for Earth Science and Disaster Prevention, F-net, http://www.fnet.bosai.go.jp/freesia/event/tdmt/20050320015200/%20update1/index.html/freesia/event/tdmt/20050320015200/ update1/index.html, 2005b.